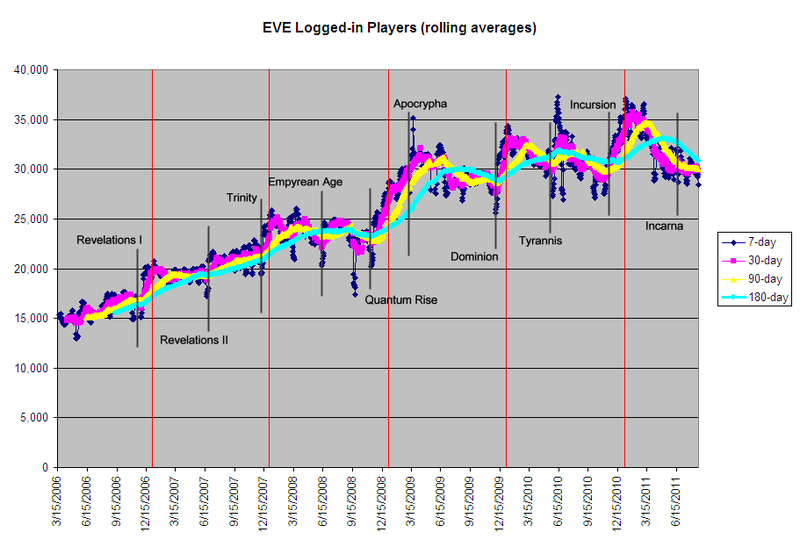 EVE Forums » Council of Stellar Management » Jita Park Speakers Corner » "Curves"
After the Quantum Rise expansion, subscription numbers have increased dramatically and stayed high. The staged delivery of the expansion began with the recent implementation of new technology such as StacklessIO and EVE64 which upgraded the server hardware and streamlined communication between server and client to reduce lag. These improvements provide performance allowing for player vs. player battles with thousands of participants. I would like to know about the status of the Brain-in-a-Box to see future improvements to allow even better pvp battles with thousand of participants. Also what is the status on moving the code from Destiny Dispatcher to multi-threading ? Legion and Valkyrie run on UNREAL, which is a licensed third-party engine with its own developers. There is a 0% chance that the team working on any aspect of CCP's in-house engine is spending any time on any game that doesn't use it. it's the subscription income from Eve Online that pays for the research and development for them. they wont be viable products, theyll receive the same issues DUST did, in that "integration" will be what most people want, and in many cases what CCP advertises as "in the future", only for people to realize what CCP meant in DUST when they said "integration but both games completely unreliant on the others existence"
Actually, what CCP has discovered with DUST is that people would rather have a fun, balanced game that's mostly freestanding then a bad game with 'integration'. The ideal is both, of course, but they've learned the hard way--again--that it's the little stuff that makes a game great, not the industry-first headline features. They've come out and said that their first priority is making the games solid, and then they'll worry about integration, and this gives them much better odds for success. The last two DUST releases have been well-received. The single-account sign-in is one of the goals, yes, but it comes after releasing games that people want to play. That's the real test for CCP.